Call us today! We have thousands of Isuzu Axles and Differentials in stock. Our network of strategically placed warehouses ensures lightning fast delivery of your Isuzu differentials. Our department stocks every part you could ever need along with hard to find parts and out of production items. 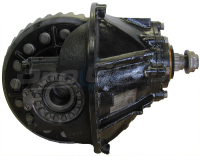 We can locate any part for any Isuzu differential ever made.